What’s next for Bizaardvark? According to Nickandmore!, Disney Channel has renewed the TV show for a third season. On Twitter, Nickandmore! 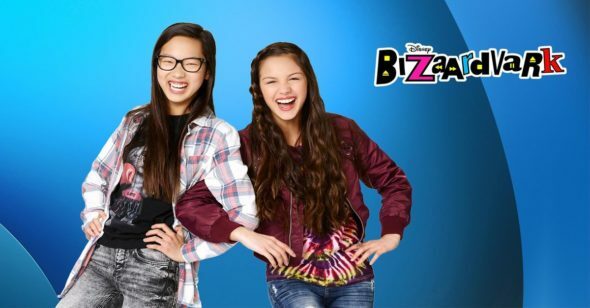 reported Disney Channel has already begun casting season three of Bizaardvark. And while Disney has not confirmed the renewal, the casting site Showfax does list the series’ third season. What do you think? Have you seen Bizaardvark? Will you or your kids watch season three? I HOPE BIZAARDVARK IS NOT OVER. I DO ENJOY THE SHOW. No offense, but Bizaardvark is complete and absolute garbage. Unoriginal and a blatant ripoff of iCarly ….. something even Nickelodeon itself predicted with the “Dingo Channel” episode. The show is very funny & can be enjoyed by kids & adults alike. how does disney make money on its shows since there is no commercials?